egg McMuffin made with cloud bread | what is clara eating today? 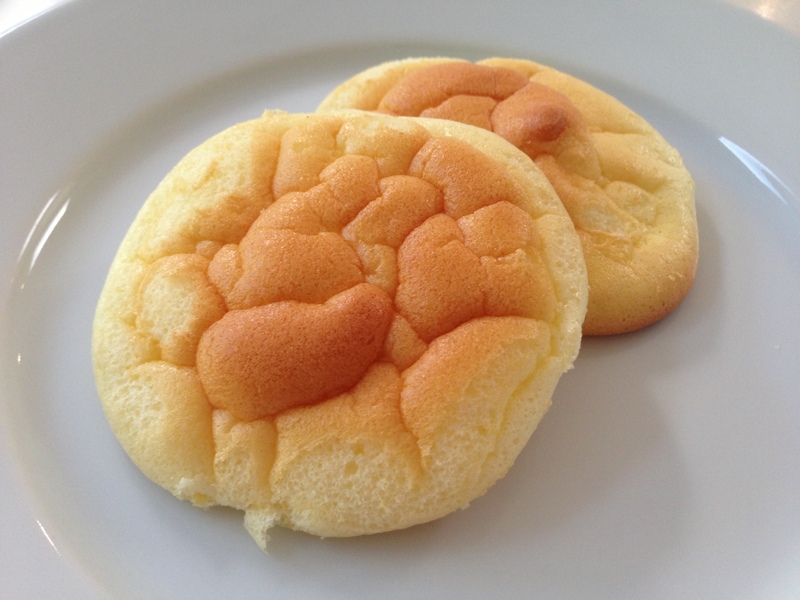 I saw this Low Carb Cloud Bread Recipe, and wanted to try making it for Clara. I was skeptical about it, but it turned out pretty good. As the reviews say, the bread tasted very eggy when I took it out of the oven last night, but I put them in the ziploc bag and kept them refrigerated as suggested, and this morning it was much better. After lightly toasting two of the bread, I made them into “Egg McMuffin”… just grilled ham and cheese since the bread already has eggs. Served with reduced sugar ketchup to dip. This sounds great! I’m hoping it works as well with coconut cream or milk because my little guy can’t have milk. Double whammy for him!